Why does Mars need a flag? What does this flag represent? This flag represents multiple aspects of Mars itself and of humanity’s relationship with Mars. The aspect ratio (height : width) of the flag, 17 : 32, is almost exactly the ratio of an Earth year to a Mars year. Why use this flag instead of another that already exists? 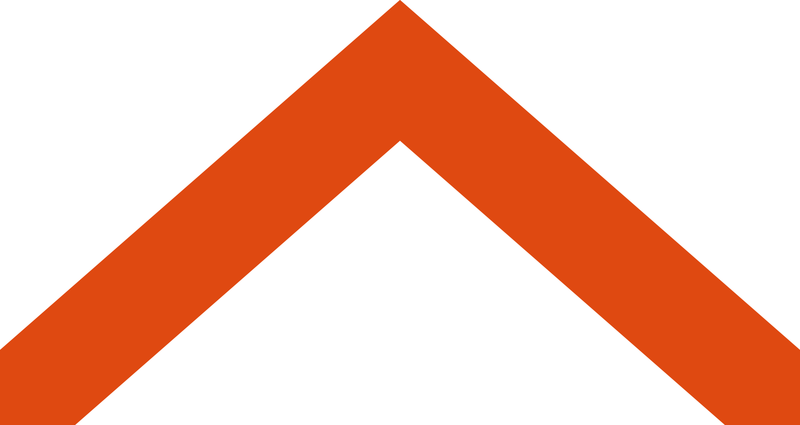 The flag shown here is the most well-known proposal for a flag of Mars, designed by Pascal Lee. He came up with the idea in casual conversation, and to his surprise, it took off. Like him and many others, I have been excited about the exploration of Mars, and this inspired me to design a flag. I present the new flag as an alternative. The colors red, green, and blue on Lee’s flag represent the “future phases of terraforming Mars” — if we choose to alter Mars so it is habitable to humans, the planet will change from its current red color to green to blue over the course of this process. Its meaning does not depend on the order of its parts. The meaning of Lee’s flag comes from looking at the stripes from left to right, going from red to green to blue. If you speak a language that is written from right to left (such as Arabic or Hebrew), you will read it in the opposite order and the meaning will be reversed. Exploring Mars is an international endeavor, so everyone should be able to understand the flag’s meaning. Additionally, one often sees a flag from behind, which would cause the same reversal of meaning in Lee’s flag but would not cause a problem with the new flag. Many other proposals for flags of Mars focus on just one aspect of Mars — either the fact that it is the fourth planet from the Sun or that it has two moons. Again, I think that the flag should represent more than that. Other flags are based on the astronomical symbol for Mars, ♂. 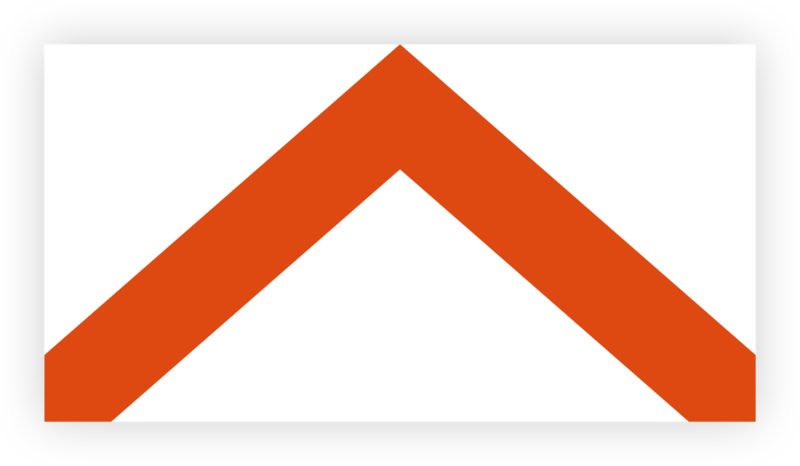 This is unsatisfactory for two reasons: first, this symbol doesn’t relate to any feature of Mars or of humanity’s relationship with Mars (instead, it’s based on the shield and spear of the Roman god Mars), and second, this symbol is also used as the male symbol, which would likely lead to misinterpretations. ​One other benefit of the new flag, which many other, more complicated, proposals do not have, is that the basic elements of the flag — the red chevron on the white background — can be adjusted to work in many different contexts outside of this rectangle. ​Would a flag actually work on Mars? Mars has an atmosphere just 1% of the density of the Earth’s atmosphere, which means that the wind is not strong enough to fly a flag (at least a flag like those on Earth). We could address this by using a lighter material or by simply hanging the flag from a horizontal pole (like was used for flags on the Moon). The red color used is Pantone 1665 XGC, with hex code #DF4911. The white color is pure white, #FFFFFF. The slope of the chevron is ± 7 / 8. The exact width of the red stroke is 45  / √113, approximately 4.23. 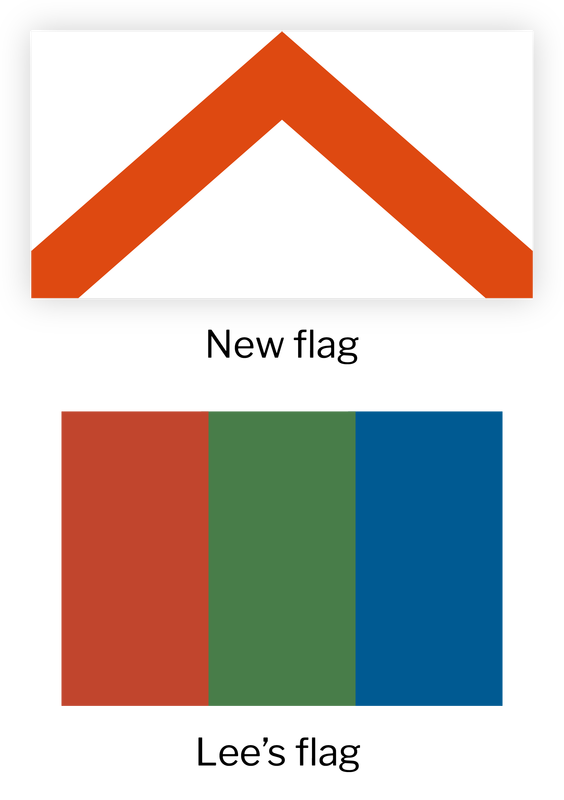 The angle measurements and the 5 5 / 8 are not necessary for constructing the flag; they are only included in the diagram above in case the information is useful. ​If you know someone who would be interested in this flag, please send them the link!